Tim is a very committed individual, sharing that principal commitment between the work he does for us and his faith. He therefore ensures that the work he does for you is delivered on time and with a high degree of accuracy and technical quality. 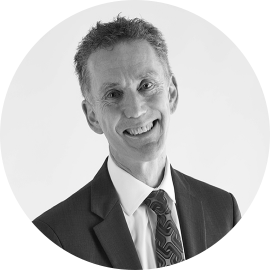 His background experience is varied, as he qualified as a Chartered Certified Accountant and has since worked in both practice and commerce in various places in England and Northern Ireland before returning to his home in Bury St Edmunds. Always working with a calm demeanour, he deals with problems that occur without any fuss and has quickly become part of the foundation of our team. Equally at home with accounting or tax work and also with an eye to clients’ commercial issues, he takes a pragmatic view of what is required to achieve the result needed. He is very organised and is able to quickly assimilate new concepts and so manages to deal with work efficiently and research technical matters thoroughly. If you’re in a panic, just speak to Tim and he’ll take you through the problem so that you then feel you’ve got someone who will relieve the burden for you. Outside of work, Tim is always happy to have a philosophical discussion. He enjoys his holidays, friends and family and seems to have life well in balance, giving each part the attention it truly deserves.